I finished my Granny Square Afghan and it turned out gorgeous. I’m very happy with it. It’s approximately 130 squares crocheted using Deramores StyleCraft Special DK yarn. This is my most favorite yarn. It’s soft and comes in 55 colors. I love color! Right now they’re out of quite a few colors because they’re having a SALE! I love sales also. 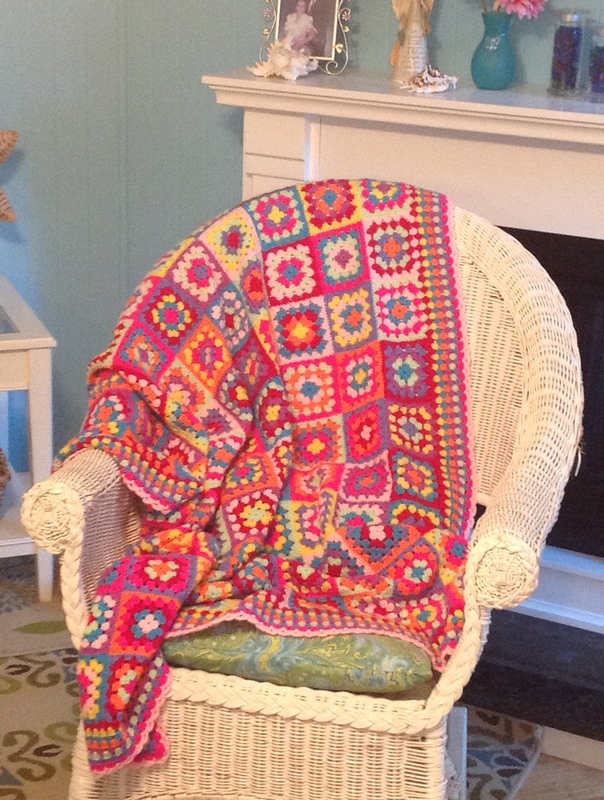 The afghan measures 48 inches x 60 inches and is machine washable. I created it with love in a non-smoking home. I decided to try to sell my beautiful Granny Square Afghan on Etsy. My store is called Poquoson Girl. There’s an Etsy button on this blog that will take you to my store. I hope you enjoy the picture!